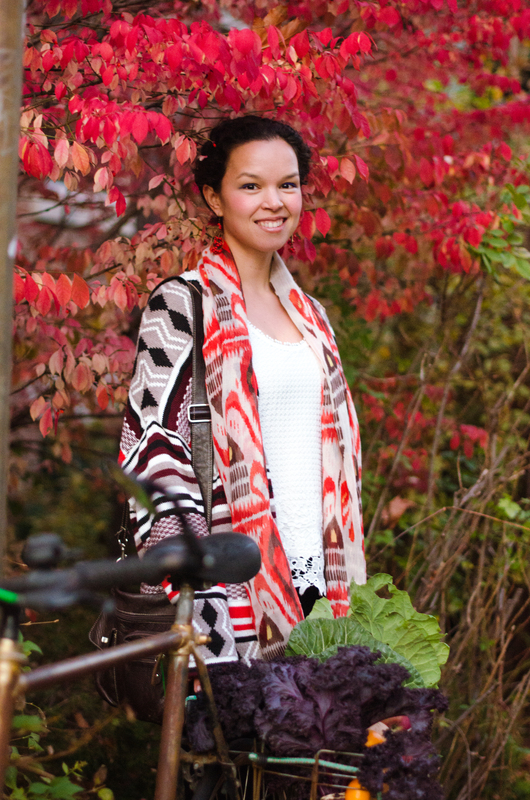 Hope you are having a great week. I sure am, after tonight’s meal :). You see, I tried a new recipe last night and it went so horribly wrong that I decided to keep things simple today. I’m always willing to give a new ingredient or recipe a try but yesterday was just not my day! As my mom’s professor used to tell her about writing a paper, the same applies to making a delicious dinner. ‘Lo mas corto lo mejor’, or the shorter and easier the better. In addition, I believe adding fresh herbs and choosing good quality ingredients can take a dish from plain to insane! 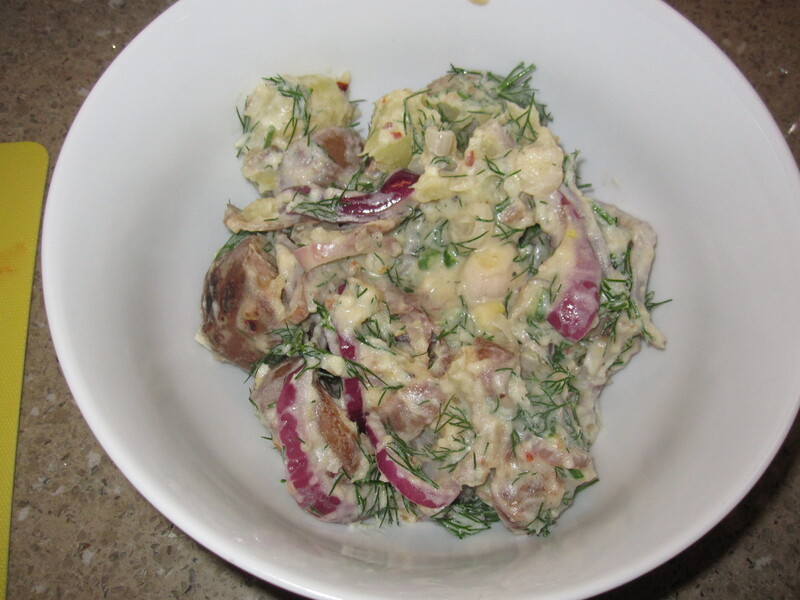 Anyways, for today I have for you a delicious potato recipe in a creamy dill sauce. 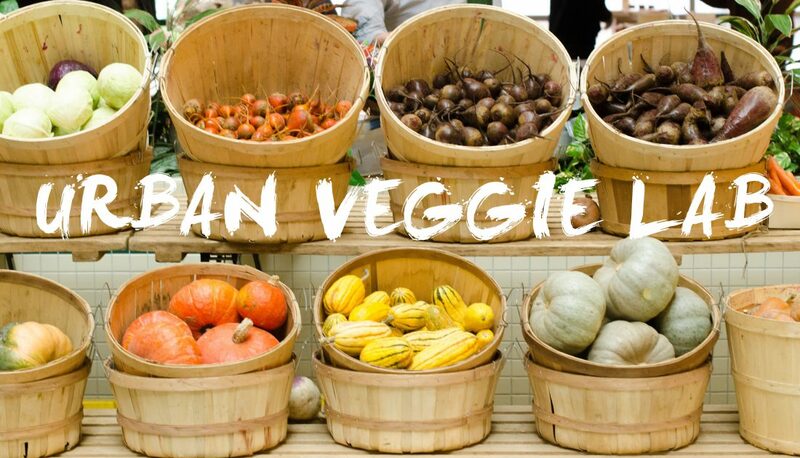 I used organic potatoes because conventional potatoes have one of the highest pesticide content of all fruit and veggies (and are also part of the dirty dozen, the twelve fruits and veggies that you should consider buying organic because of their high pesticide levels). This video gives you a better idea of the difference between organic and conventional potatoes. 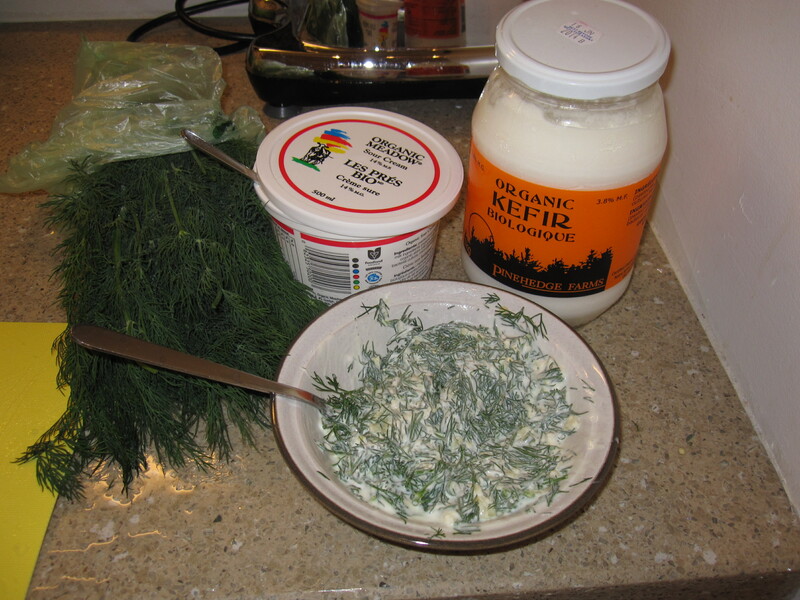 I also used lots of fresh dill, which contains antibacterial compounds as well as antioxidant compounds which protect your body from oxidative damage and keeps many diseases at bay. Plus, dill is full of flavour! Bring a pot of water to a boil. 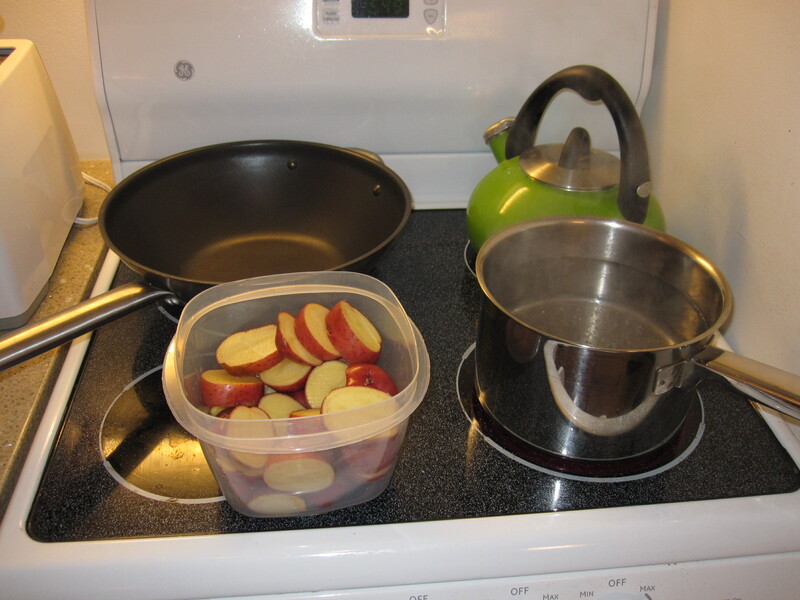 Add washed and cut potatoes and boil for 10 minutes, or until potatoes begin to soften. Drain. In the meantime, prepare the sauce. 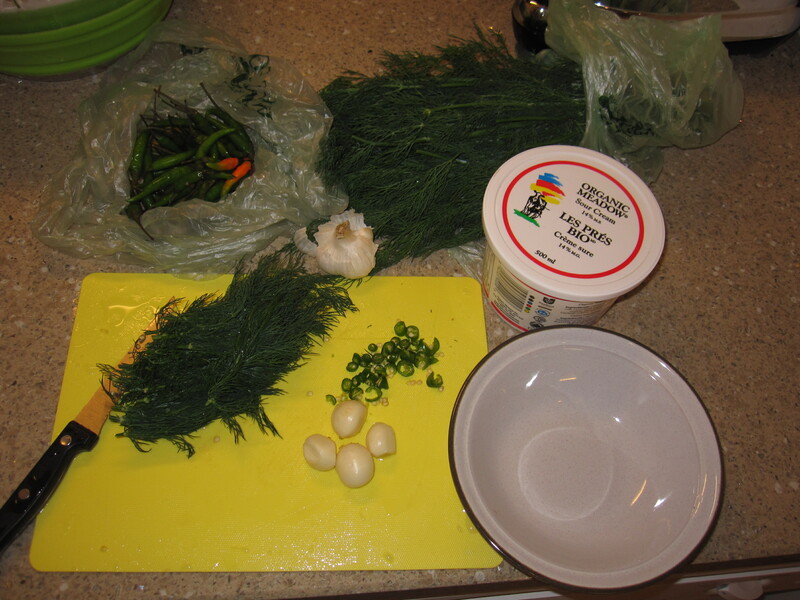 To a bowl add minced garlic, chopped dill and chopped green chilis. Stir in yoghurt and sour cream and let sit. 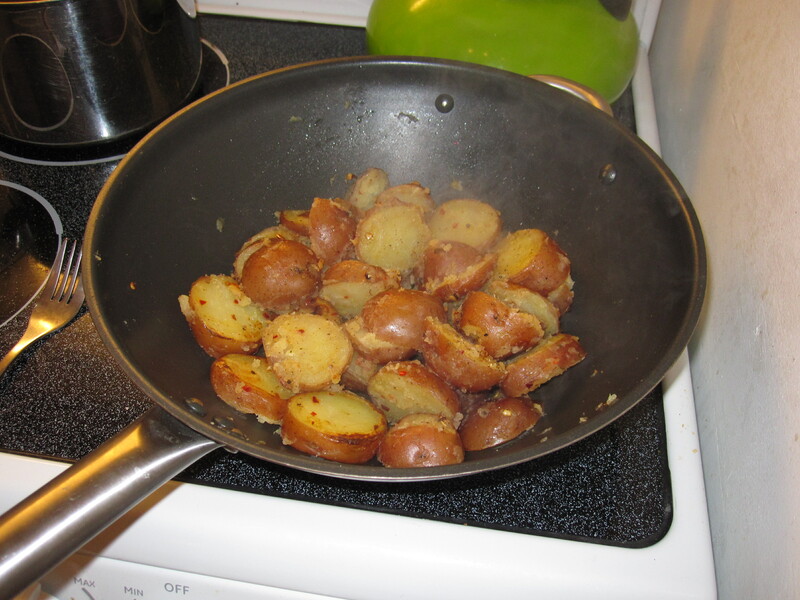 To a large frying pan, over medium heat add oil and potatoes and fry until the potatoes have a nice colour to them. Don’t overdoo it though, because if you cook your potatoes for too long, they will become too mushy. Season with salt and pepper. 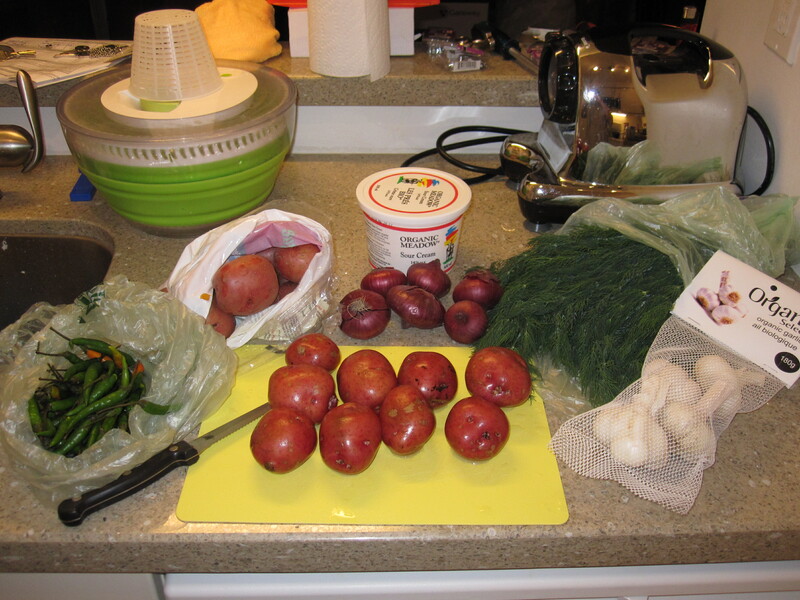 When potatoes are almost done, add chopped onions and toss until softened. 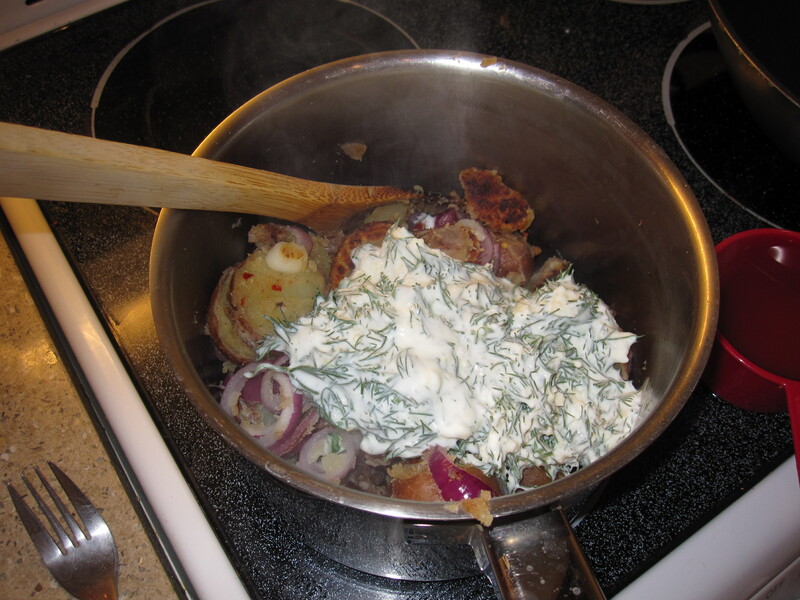 Mix potatoes with dill sauce and serve immediately.